India Dubai And Egypt Tour will give you the chance to explore the wonders of India, Egypt and Dubai visiting the best attractions and cities. Visit India's Delhi, the capital city, Agra, the home of Taj Mahal, Jaipur the pink city. Explore India's Landmarks the Red Fort, Taj Mahal, Agra Fort, Amber Fort and more. Then Head to Dubai and Abu Dhabi where you can discover Souk Madinat Jumeirah, with its bazaar-like atmosphere and more. Proceed and fly to Egypt and explore Giza Pyramids, Karnak Temple and more on a Nile Cruise. 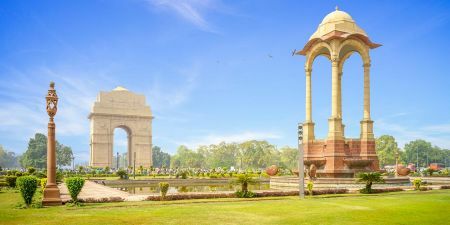 Upon your arrival in Delhi, you will be Greeted and Escorted by our Memphis Tours Executive to your Hotel and then check in. Start you India Tour from Delhi. After breakfast, enjoy a sightseeing tour of Old and New Delhi. Visit the Red Fort (from outside) and Jama Masjid (Friday Mosque). Afterwards, enjoy Rickshaw ride in Chandni Chowk. Then, visit the Raj Ghat. Later, visit India Gate and Govt Buildings. Then have photo stop at Rashtrapati Bhawan. Later, you will have a visit to Qutub Minar the landmark of Delhi. After enjoying your day, you will return back to your hotel. After breakfast, you will be driven to Agra. Upon arrival in Agra, transfer to your hotel. Later, you will visit the world famous monument of India the Taj Mahal (closed on Fridays.) After the visit, you will take a Tonga ride till Agra Fort. Then, after enjoying your day, you will be back to your hotel. After breakfast, you will be driven to Jaipur. Check in and spend your day at leisure. After breakfast, enjoy the full day visit of Jaipur City. Visit the Amber Fort and Hawa Mahal. In the evening, enjoy Aarti Ceremony in Birla Mandir which is a very auspicious Hindu ritual in which they offer their prayers (traditional Hindi song) to God. After breakfast, you will drive to Delhi. Upon arrival in Delhi, transfer to the international airport to board flight to Dubai. Upon arrival to Dubai International Airport, you will be met by our driver and transfer to your hotel in Dubai for Overnight. Enjoy your breakfast at your hotel. Your local guide will pick you up in the morning (between 09.00Hrs to 09.30Hrs) from your hotel and drive you to Dubai Marina. Then drive across Palm Jumeirah, the world’s largest artificial island, with a photo stop at the iconic Atlantis Hotel. Visit Souk Madinat Jumeirah with its meandering paths and a bazaar-like atmosphere. Afterwards, enjoy a visit to Dubai Mall, the largest mall in the world. At the end of your trip, enjoy a visit of Burj Khalifa at the level 124, where you can all Dubai city. Afterwards, you will have a free time at Dubai mall or return to your hotel. Enjoy your breakfast at your hotel. You will be picked up from your hotel (between 09.00Hrs to 09.30Hrs) to visit the Sheikh Zayed Grand Mosque. The tour proceeds to Union Square, into the heart of the city, before a drive down to the Corniche. Next, Pass by Emirates Palace. From there, move onto Heritage Village. Finally, enjoy the Photo stops beside Yas Island and Ferrari World. After a long adventurous day, transfer you back to your hotel. Enjoy your breakfast at the hotel. Discover the city yourself. In the afternoon, you will be picked up to drive across the sands of dubai desert where you can experience the thrill of sand-boarding. Afterwards, you will be taken on Bedouin campsite. Be adventurous and try a camel ride. Return back to the camp and dine on a delicious barbeque dinner and an enchanting belly dancer and tanoura dancer. Experience with shisha pipe of many aromatic flavours. Then, head to your hotel in Dubai. Breakfast at your hotel. Have free time before your flight, then drive to Dubai airport for your flight to Egypt. You will be met and assisted by our representative at Cairo International Airport (Arrival procedures) and then escorted to the hotel by exclusive air-conditioned deluxe vehicle. You will be assisted at the hotel to have a smooth check in. Continue to Coptic Cairo where you will visit the Hanging Church and Ben Ezra Synagogue. Later, drive to Islamic Cairo, where you will be able to explore Khan El Khalili, Cairo’s old bazaar. Transfer back to your hotel. Overnight in Cairo. Check out from hotel in the morning. Then, transfer to Cairo Airport for a flight with EGYPT AIR to Luxor where you will be met and assisted by our representative. Take an air-conditioned vehicle to board your Egypt Nile cruise to check in. Lunch on board then visit the impressive Karnak Temples and Luxor Temple. Dinner and overnight on board Nile cruise. Breakfast on your Nile cruise, take an excursion to Valley of the Kings, then visit Temple of Queen Hatshepsut. Head to the Colossi of Memnon. After lunch, sail to Edfuenjoying. Leisure dinner on board. Overnight on board Nile Cruise. Breakfast on Nile Cruise. Explore the well-preserved Ptolemaic Temple dedicated to Horus at Edfu. Afterwards, sail to Kom Ombo and see the unique Temple of Sobek. Have lunch on board. Continue sailing to Aswan. Dinner and overnight on board your Nile Cruise. After breakfast on Nile cruise, enjoy a sightseeing tour in Aswan. Begin with a visit to the High Dam and the largest known ancient obelisk, the Unfinished Obelisk. Then proceed to visit the beautiful Temple of Philae. Dinner and overnight on board deluxe Nile Cruise. Breakfast on board. Afterwards, disembark from your Nile cruise to transfer to Aswan Airport for your return to Cairo. Breakfast at hotel. Spend free time at leisure. Then transfer to Cairo International Airport for your flight back home. Tour price currency is set to USD but you can pay in Euro or British pound. The prices quoted per person per tour and prices are always updated to ensure you receive the best possible price. Prices are valid all the year, except during Christmas 2019 and New Year 2020. Reservations should be made as early as possible to book your desired India tour, spaces will be secured upon receiving a deposit of 50 %. This deposit forms part of your final payment. Deposits can only be made by credit cards, wire transfer and or the Western Union, and the balance of payment to be paid one week before tour start date. Note: Kindly note that in special cases wherein a hotel requires 100% payment in advance (during festive period i.e. Pushkar Fair, Christmas, New Year, etc. ), will be payable along with 50% tour deposit. As per hotel policy, this amount will not be refundable. 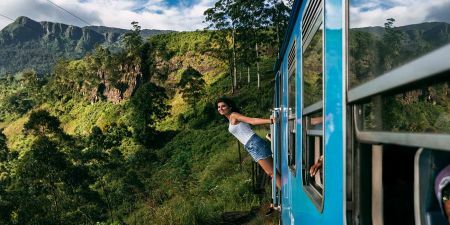 - From the date of booking until 45 days before your arrival date, 15% of the entire tour price will be charged. - If you cancel on or before 44-30 days of tour commencement date, 25% of the entire tour price will be charged. - If you cancel on or before 29-15 days of tour commencement date, 50% of the entire tour price will be charged. - Less than 14 Days before arrival 100% cancellation will be applicable. If you request any changes to your travel arrangements once we have confirmed a booking, all out of pocket charges, including charges imposed by our suppliers, will be payable by you. If after the commencement of your tour you request any changes to your travel arrangements, we will do our best to implement them, but we cannot guarantee that it will be possible. In the event of such change(s) being made, you will be liable for any cancellation charges that may be levied for the previously booked service and for any costs incurred by us and our suppliers in attempting to secure any revised arrangements. Any name changes must be provided to us in writing and are subject to any airline/ train fees or penalties. All Passengers are responsible for securing proper documentation prior to joining the tour. Passports are required; in addition, travellers are advised to check with local consulates for full details regarding Visa requirements. Please note securing a valid visa for entry is the sole responsibility of the traveler.